NEW YORK (WABC) -- Citi Bike is proposing a major expansion across New York City. 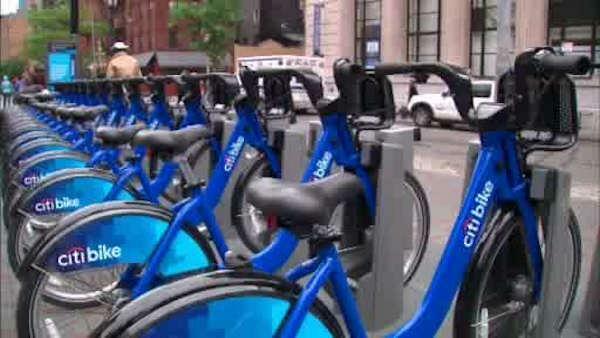 Citi Bike's parent company is in talks with the city to add 6,000 bikes to the system. "Transportation Alternatives calls upon the de Blasio administration to work with Motivate to create a high-quality five-borough bike share system in a timely fashion. All New Yorkers will benefit from an accelerated expansion of this crucial transportation mode," said Paul Steely White, the executive director of Transportation Alternatives. 4,000 of them would be placed in sections of the city that currently are not serviced by the system, possibly in Staten Island and the Bronx.